So how many things did I get done yesterday? I even cheated. I wrote a few things down on my To Do list that I had already done, just so I could cross something off. Okay, admit it, you’ve done it before too. Love it! Yep, I've written things on my to do list & scratched them off immediately becuase I did something that wasn't on the list, but wanted to record it. Super shot! Thanks for reminding me... I need to make a list! lol, great shot...are those REAL now serving numbers?? I never seen that before...love it. Have you ever fluffed the laundry in the dryer because you didn't feel like folding it? LOL. Good shot! Cool shot. Love the quote. Ditto John and Diane. Yep. I've done that. Not often, but well.....yeah..... of course, I only make a to-do list now when I am feeling overwhelmed. Hmmm... I think I'll go make a to-do list now. 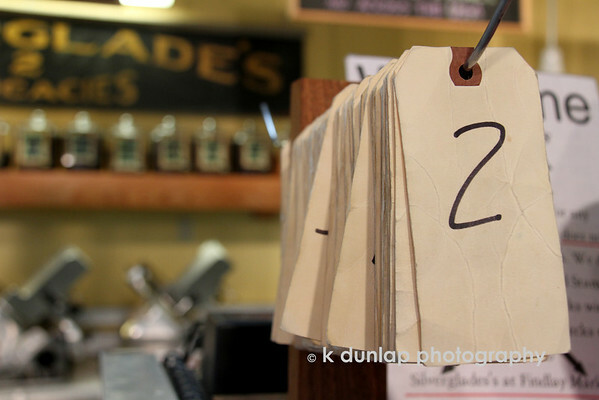 What a great daily, fascinating to find a shop still using these old paper numbers.